The UNL journalism graduate was called a “charismatic leader who could make change happen” by Gerry Kern, the Chicago Tribune editor who recognized her abilities and tapped her for managing editor/vice president of the Tribune in 2008, a position she held until Nov. 24, 2014, when she chose to step down to pursue personal interests. Hirt may be best known as the founding co-editor, then editor of RedEye, a Tribune experiment to create and then steer into solid profitability an innovative commuter news and entertainment publication for young, socially-minded and very busy adults who weren’t reading daily newspapers anymore. 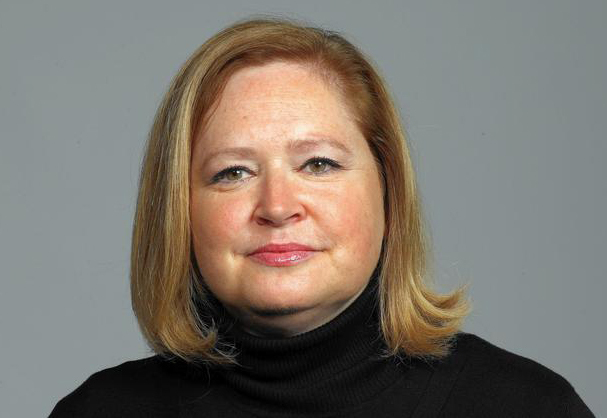 Prior to her work on RedEye, Hirt served in various editing roles on the Tribune’s national, foreign and sports desks. The NPW spring convention will also feature a workshop on using social media for reporting, for community involvement and for promotion. The 90-minute workshop will be presented by Michelle Carr Hassler, assistant professor of practice at the UNL College of Journalism & Mass Communications (CoJMC). Hassler, who has won numerous national awards for her teaching ideas, created UNL’s first social media course for journalism majors. She continues to teach that in addition to courses on multimedia reporting and online journalism. A UNL journalism graduate, Hassler was a reporter and editor at newspapers in Colorado, Arizona and Nebraska for 16 years prior to joining the CoJMC faculty. Two more extraordinary people are scheduled for the spring convention. UNL CoJMC’s dean, Dr. Maria Marron, will update the group on the current state of journalism education. A native of Ireland, Marron worked as a journalist and a public relations professional. She came to the US as a Rotary International fellow to obtain her masters and PhD degrees, taught at Ohio State University and was department chair at Central Michigan before accepting the position in Lincoln. More details and information on a planned media relations workshop will follow in the next newsletter, but save the date – Saturday, April 23 – for the NPW spring convention in Lincoln. Tell all of your communications industry friends about it, too, and use it to recruit new members so that our 70th anniversary year can be the biggest and best yet. Lincoln convention co-chairs are Ruth Brown, Cheryl Alberts-Irwin and Molly Klocksin.